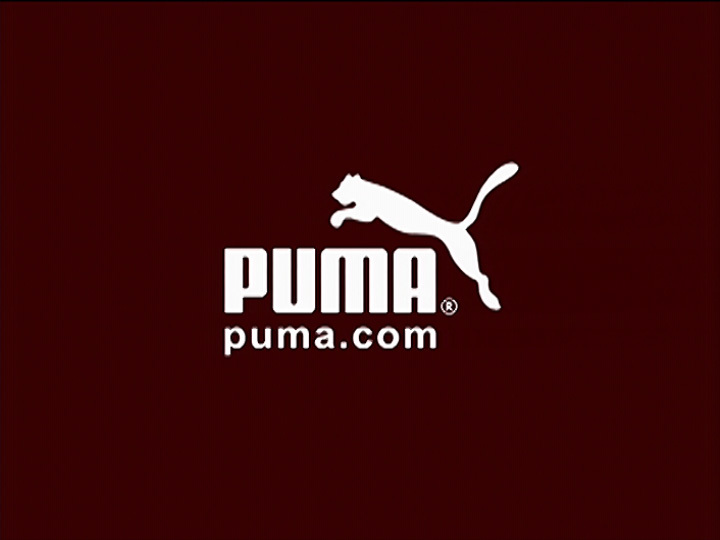 “Cameroon” was a combination of traditional animation, computer animation, and heavy graphic design, all carefully coordinated together to create a powerful and bold spot for Puma. The environment was first built in 3D, whereupon camera moves were planned out and then printed out as layouts for the traditional animators to work with. For scenes during which the background was secondary to the character’s actions, the character was first traditionally animated, and then the backgrounds were matched to him. In other instances, such as in the scene with the camera revolution around the player (image 2), secondary 3D characters were rendered in the scene for placement and perspective reference to which the traditional animators could rotoscope. 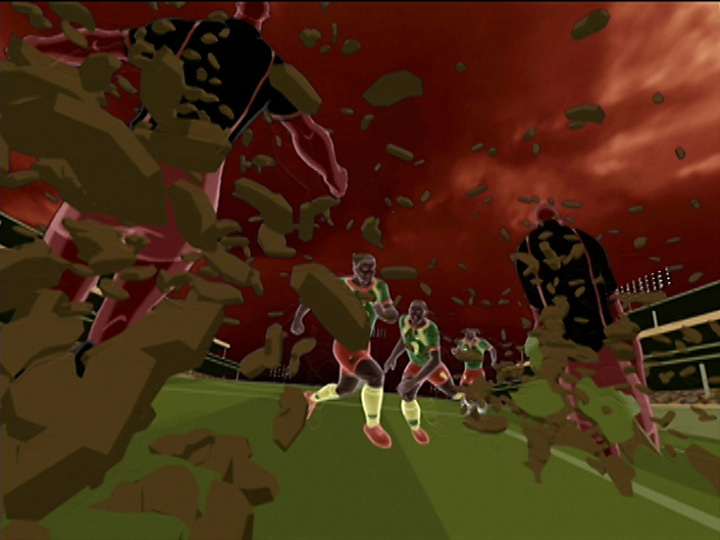 The soccer ball was also built and animated in 3D to match the characters. All lighting remained flat; for objects requiring more than one shade (such as the rocks in image 1), rendering tricks were used to create multiple flat shades, while avoiding graded tones. The 3D in this spot was modeled, animated, and rendered with 3D Studio MAX. Ink and Paint for traditional animation was done with USAnimation. Final compositing was done with After Effects. 3D Animation director: Richard Rosenman. 3D Animators: Richard Rosenman, Chris Crozier, and Ben Pilgrim. Art directors: Linzi Knight and Larissa Ulisko. *Please note that the music used for this downloadable commercial is not the one that was used for public broadcast due to copyright issues. This music is "Atom Bomb" by "Fluke".